The beautiful four bedroom Sea View Pool Villa was built with relaxation and Koh Lanta’s legendary sunsets in mind. It is elevated on a manicured garden hillside above Kantiang Bay with breathtaking 270 degree unobstructed ocean and rain forest views. 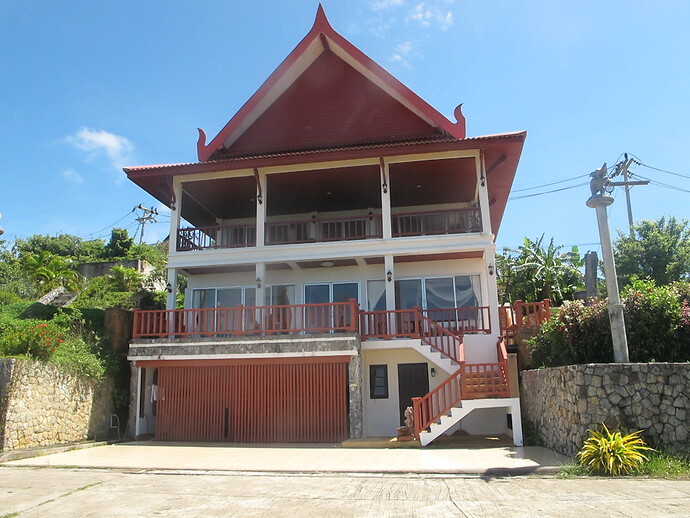 Upon arrival a 10000 Thai Baht deposit is also required in case of damage to the villa. This deposit will be refunded after your stay minus any damage costs. The very large ( 250 sqm) and spacious four bedroom Sea View Pool Villa can sleep up to eight guests. Every bedroom has a large queen-size bed with plenty of pillows, bedding and towels as well as air conditioning and ceiling fan. Each marble bathroom features a hot water shower, western-style flush toilet and large over the sink mirrors. The Ensuite bathroom is the villa’s largest bathroom. 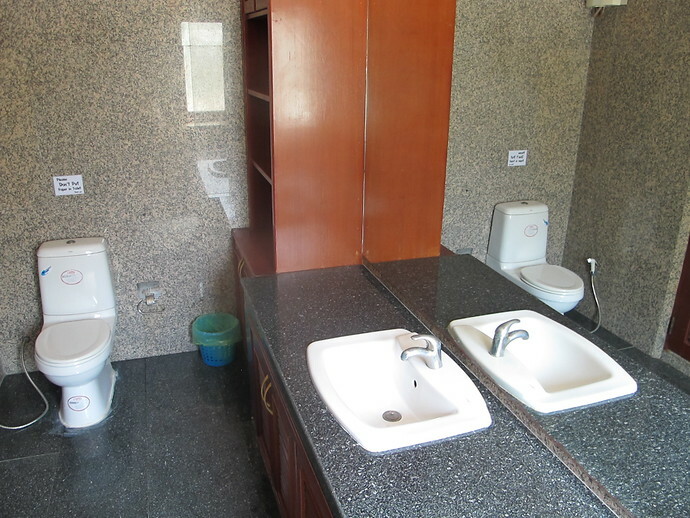 The toilet is western style and the wash basin has marble tops and a large mirror. A hot water rain shower has its own partitioned area within the bathroom. The second bedroom also commands breathtaking sea views and sliding doors which open up on to the terrace area. The air conditioned room has a queen bed and seating. 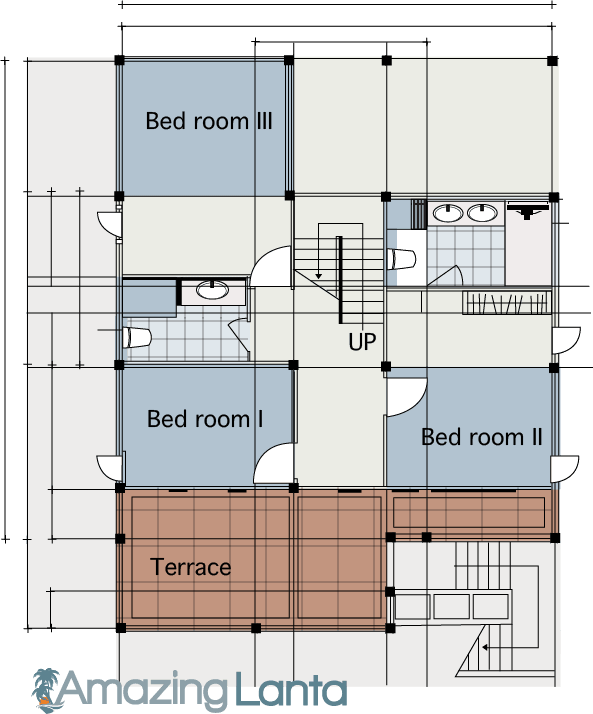 It shares a bathroom with the third bedroom on his level and also the wardrobes are located in the third bedroom which is shown below. On the upper level at the front still enjoying the panoramic view is an open plan dining area and living room. The rooms are only separated by the stairs which are built in the middle of the home. The living area is a prefect place to relax and unwind with very comfortable sofas, Cable T.V, DVD Player and Free WiFi Through out. 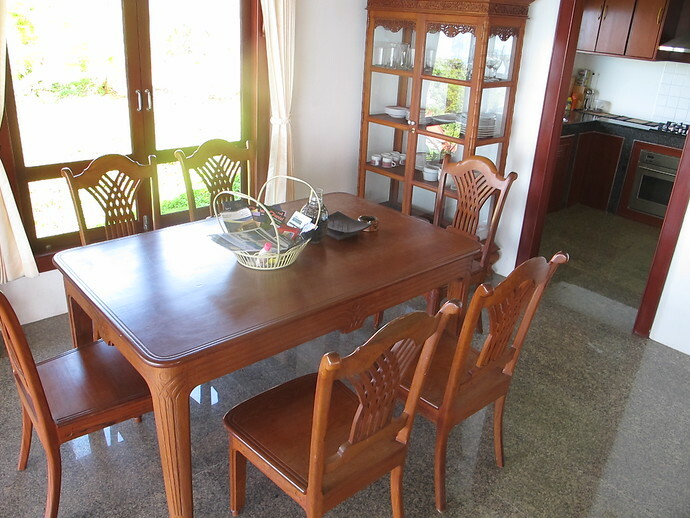 The inside dining area can be set out for 6 guests to enjoy a meal together. The cupboard is well-quipped with crockery, glassware and tableware. You can also dine outside on the large terrace. 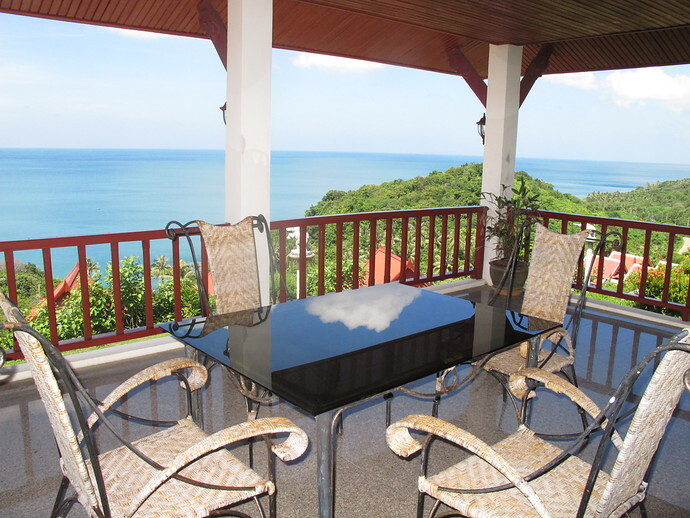 The villa has wonderful 270 degree unobstructed views of the Andaman Sea and surrounding forests. You can eat in style on the private terrace or just sit and relax and watch the sun disappear over the horizon creating those special holiday memories. 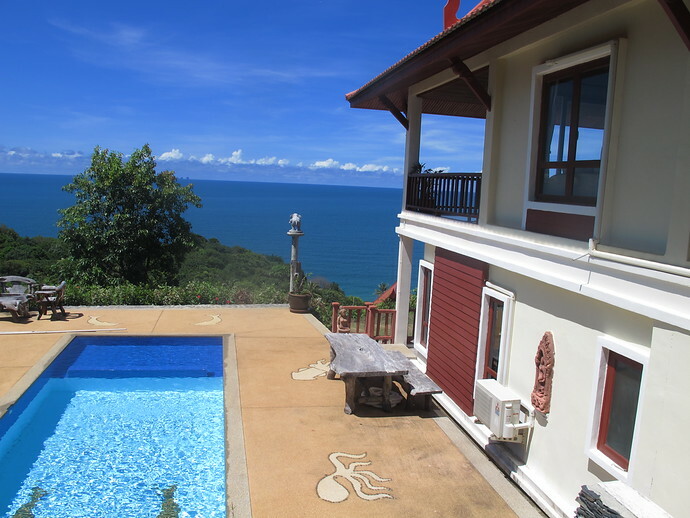 The view from this villa is without a doubt one of the best views of any villa or hotel on Koh Lanta. The stunning outside pool is also another great feature especially as it has a child pool at one end. At the other end of the pool is a rocky waterfall feature letting water cascade into the pool. The pool is private to use for this villa only, but the pool can be seen by neighbours in other villas as there is no surrounding wall. If you wish for a change, there is a another, larger pool which is for the use of all guests within the complex at the bottom of the hill. 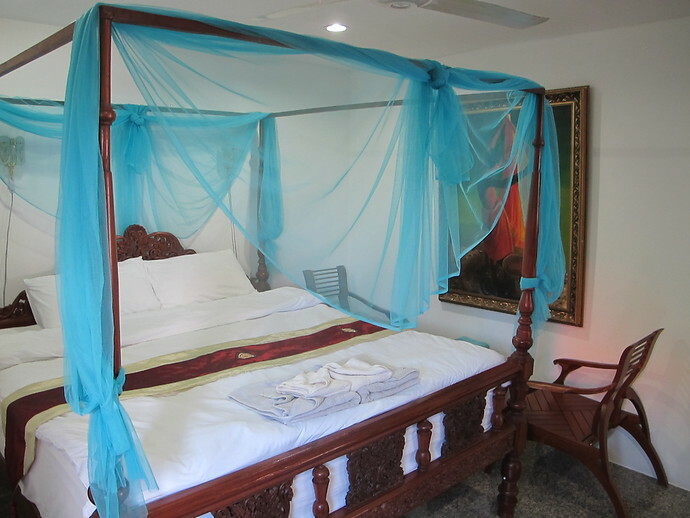 The third air conditioned bedroom on the lower floor, offers queen size four poster bed. 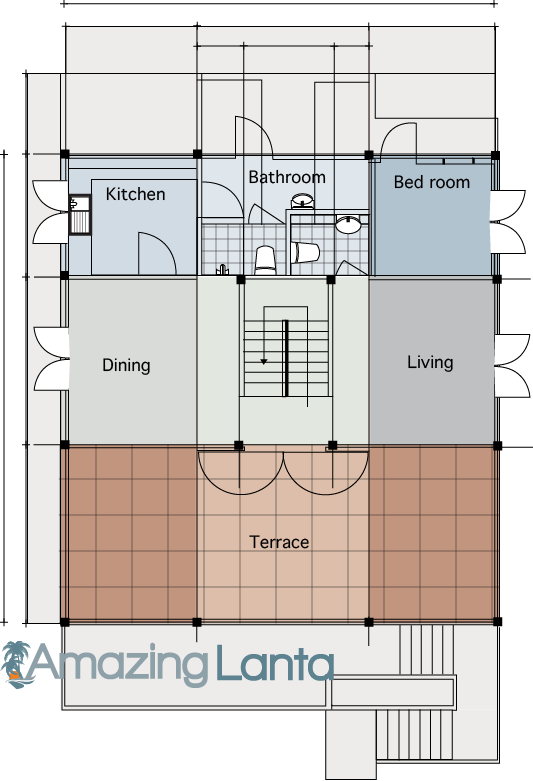 There is also a large wall with fitted wardrobes and drawers and seating. The bedroom is not en suite it shares a bathroom with the bedroom at the front. The fourth bedroom on the upper level was first designed as a maid’s room. It is small and compact compared to the other rooms but offers nice windows making it light and feeling more spacious. This room also has a queen size bed and seating. 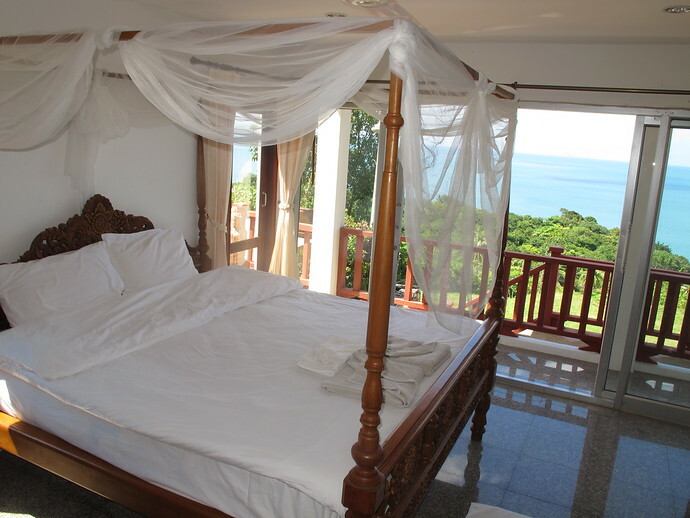 The room would probably best suit children, not due to the size but so the parents can enjoy the front ocean view rooms. 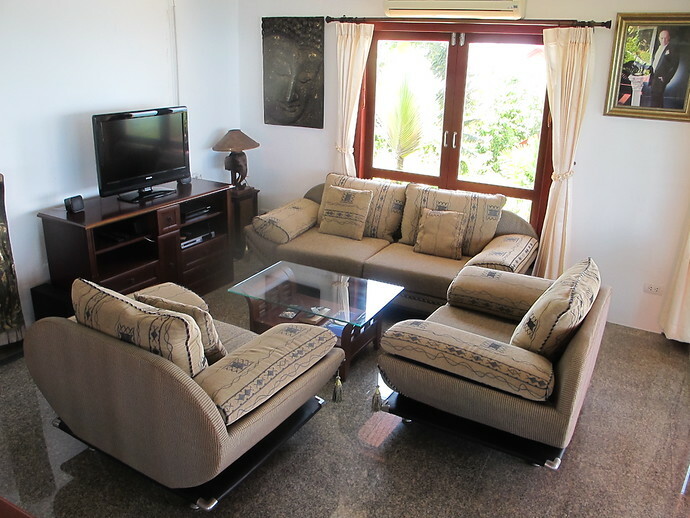 The grounds feature ample parking and the villa has a double garage. The villas and road to them are well-lit all night along the grounds. The location, quite atmosphere, breath taking views, well equipped villa help to make it a safe and secure holiday retreat for you and your family. If you are arriving at Krabi Airport or Phuket Airport booking an Express Transfer will allow you to transfer quickly, safely and direct from Airport to Villa. The transfer driver will be waiting for you upon arrival at the arrivals gate with your name on a placard. Then it’s a combination of minivan and speedboat travel direct to the villa. If you arrive after dark the speedboat will not be operating, however you can still arrive on Koh Lanta using the Private Minivan Transfer service. If you in another area of Thailand and wish to transfer to Koh Lanta, you can also be picked up from your hotel, at a time that suits you best and safely transferred directly to the Villa by using the Express Transfer from popular areas like Ao Nang, Krabi Town, or Phuket. These areas are also serviced by using the Private Minivan Transfer if you prefer. What’s Nearby To The Sea View Pool Villa? 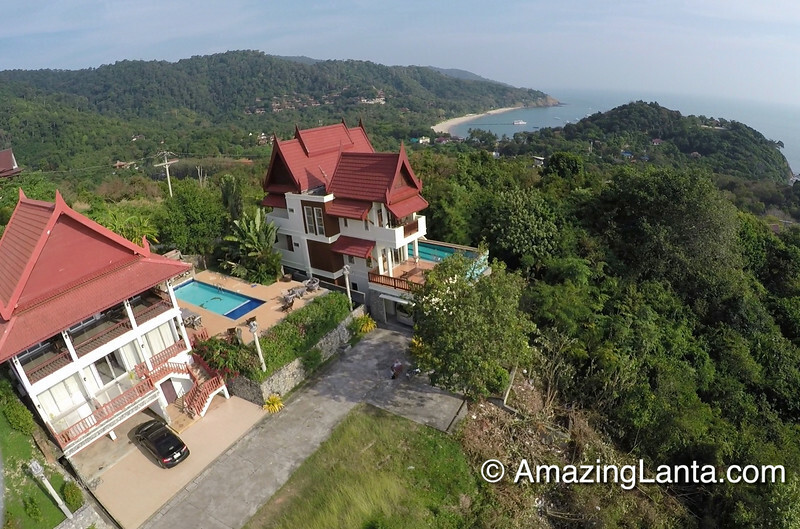 The Four Bedroom Sea View Pool Villa is part of a small villa complex located just outside Kantiang Bay, which has been voted as one of the Top Beaches in Thailand. The roads to the Villa are all concrete roads except it is based on a hill. Walking down into Kantiang Bay is quite easy as it’s all downhill however going home up the hill is somewhat more challenging. 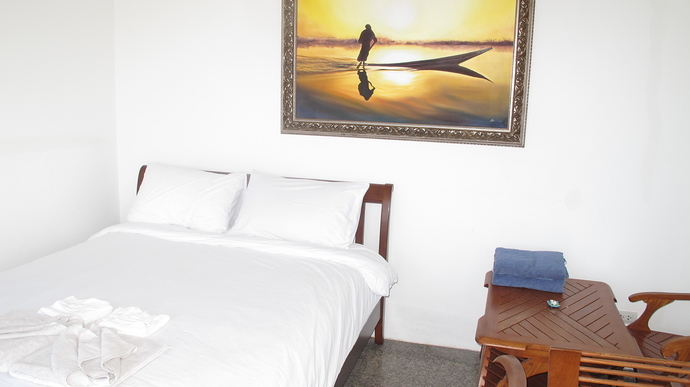 Therefore, when staying here hiring a motorbike or car here is strongly recommended to get around or a simple taxi ride home from the beach. Just outside the Four Bedroom Sea View Pool Villa on the main road you will find Jungle View Restaurant which offers Thai and Italian food. Then following the road down into Kantiang Bay which is only 0.3 km away, near the bottom on the right is Drunken Sailors Coffee Shop. A laid back cafe where you may get stuck all day lounging in hammocks with a large menu of burgers, pasta, Thai classics and great coffee. Just around the bend is the A La Carte restaurant offering BBQ fish and papaya salad – all Thai classics. Walk toward the beach and enjoy a seafood BBQ at the Bay Front restaurant located on the beach at the Baan Laanta Resort. A nice walk then left along the beach and you can enjoy the Same Same But Different Restaurant. For drinks head down to the beach, all resorts have their own beach bars but one special cliff side bar which is located in the Lanta Marine Park View Resort is called the Shroom Bar. For more recommendations about places to eat, see our Best Places To Eat In Kantiang Bay page. 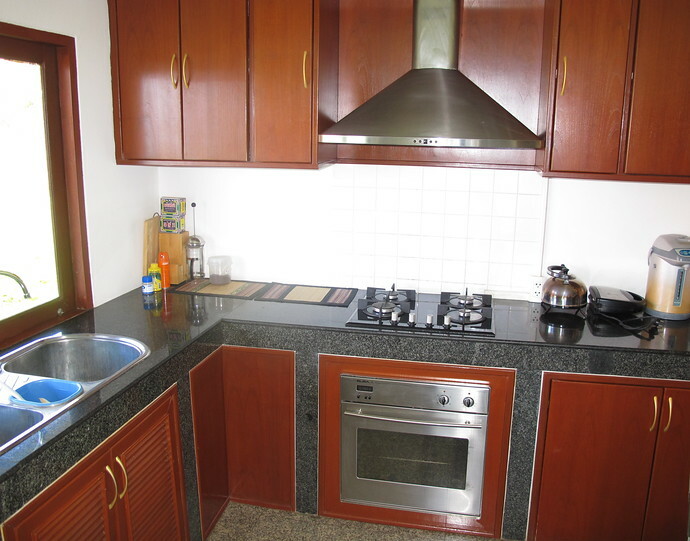 You will find many enjoyable things close to the Villa with in easy walking distance. 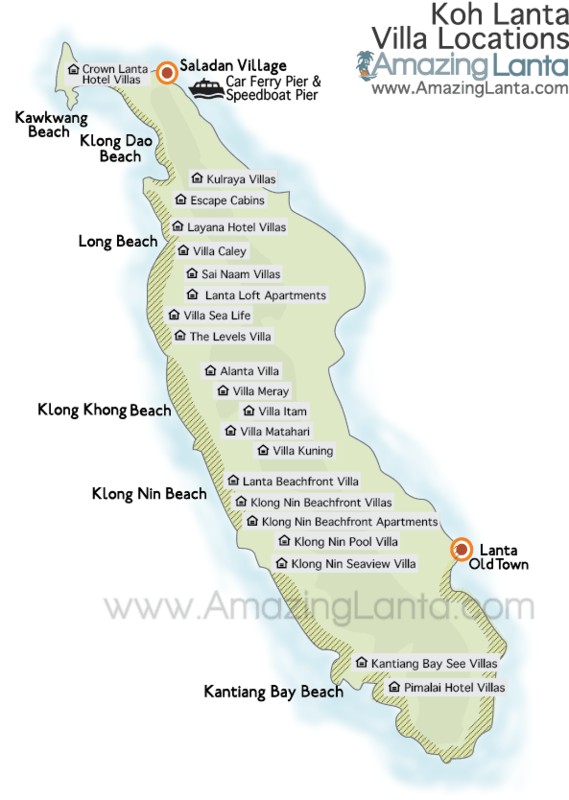 However Koh Lanta is quite a big island, around 35 km long, so for a stay of more than a couple of days renting a car, motorbike or Tuk Tuk would be advised. 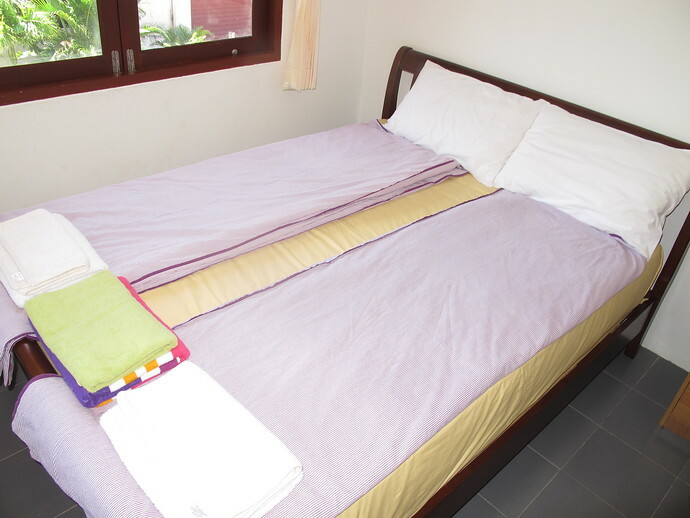 You can hire them on daily or weekly basis and the Sea View Pool Villa manager will be happy to help and organise these rentals for you when you arrive on Koh Lanta. If you are not comfortable with a bike or car then you can easily travel back and forth on the island by using the local Tuk Tuk drivers. These can be a lot of fun and the locals with there friendly manner will entertain you as they go. However even after negotiating a good price this option does start to become expensive as each ride is charged per person. To find a taxi driver just wait next to the road and they will stop instantly. When you are in Saladan the main Koh Lanta Shopping area, if you walk out of the centre there are many queueing up to take you home. However later at night this service can become sparse and getting home from a party can become a challenge. If you really want to get in to Thai culture you can enjoy an evening watching Muay Thai in one of three Koh Lanta stadiums or get your tongue around the language with a Thai for beginners class. 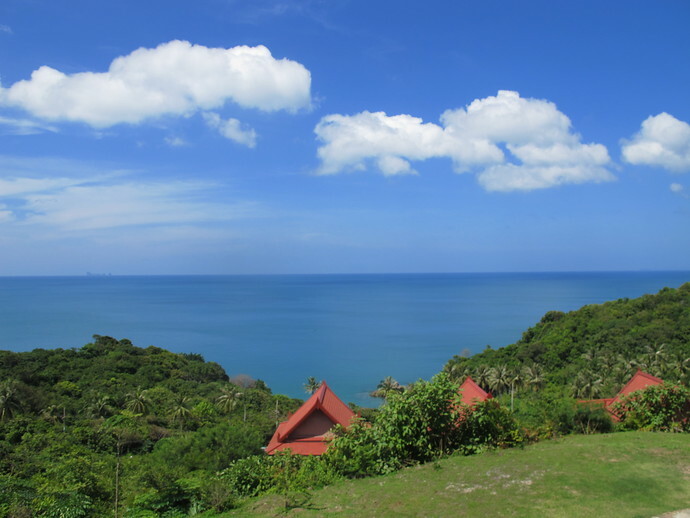 Koh Lanta also offers amazing natural beauty with two caves to explore and a National park full of virgin rainforest with wild monkeys not forgetting a waterfall in the green season and a butterfly farm.